We should be people of courage because we serve a mighty God. Gods Way Christian Forum. A place to be 'refreshed and built up in the Lord Jesus'. Where Christian 'Believers' can fellowship together to talk, discuss, enjoy, pray for others and give testimonies, chat. For Christian adults and unbelievers seeking salvation and encouragements found in the word of God. 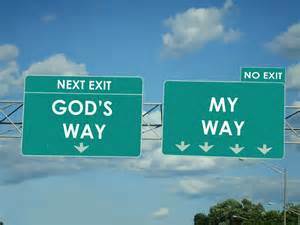 Gods Way Christian Fellowship Forum (GWCFF) is only for adults and mature,young and teen christians. God's Way Christian Forum. A place to be 'refreshed and built up in the Lord Jesus'. Where Christian 'Believers' can fellowship together to talk, discuss, enjoy, pray for others and give testimonies, chat. » Let us remember what Christ did for us and celebrate that we have a Saviour. » The Lord offers us the possibility of eternal life. » As we find our joy and fulfilment in Him, He makes the impossible possible. » Abraham was a man who overcame doubt and believed. » The plans of God for us are clear. » He will gather you and bring you back under His wing. » Faith and actions work together to bring about God's purposes. » Give the worries and concerns to Him, and live believing that He will undertake. God always provides for our needs according to His riches in glory through Christ Jesus. As long as we are doing the work of the Lord God will always meet our needs. As long as we are pointing others to God, He will always see that you have plenty. What if God just made? - We should be alert because our enemy goes around like a roaring lion. - We should stand firm so that we are not tossed to and fro by storms of life. - We should be people of courage because we serve a mighty God. - And we should be strong because He will give us the strength we need. PRAYER: Lord, help me to be alert so that the enemy doesn't get a foothold in my life. May I stand firm in the strength and power You give me and may I be a person of courage who does not shrink back but presses forward. Amen.